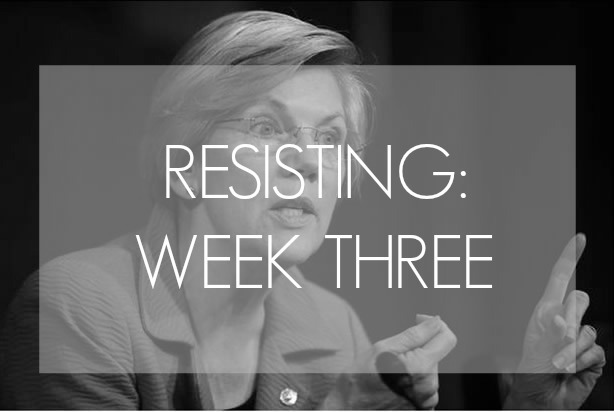 I'm a little late getting my ideas for resisting up this week. Every idea I had felt redundant, like it had been done before (probably because it had). I wanted ideas that didn't involve calling Senators or writing more letters. I don't know why I was trying so hard to come up with something different, but it didn't really matter because nothing was coming to me. Then I read that Elizabeth Warren was silenced during her reading of Coretta Scott King's letter on the Senate floor. It's the idea in the back of my mind when I think about long-term resistance, yet I've failed to recognize just how powerful persistence is. The work is not going to be novel, it's not going to be fresh, but it's important and it needs to be done. So this week, I implore you to simply persist. Keep doing what you've been doing. Voice your disappointment in their confirmation of Betsy DeVos. Tell them they won't be getting your vote again, if they even had it to begin with. Keep voicing your concern over each and every thing that alarms you. Call. Leave messages. Write letters. Read to learn more about others. Read to learn more about the past. 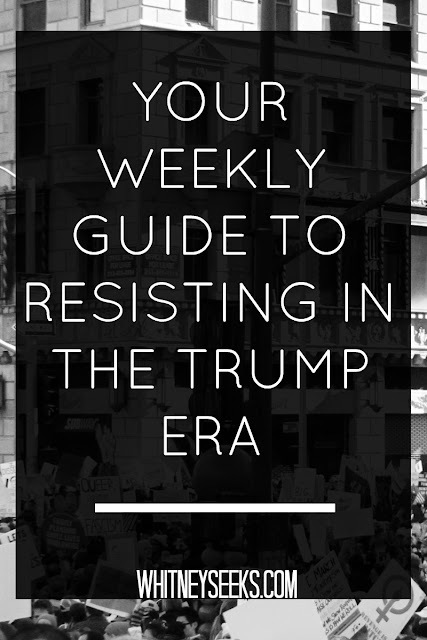 Read to learn more about current events. Read to your children to help them better understand. Consider starting a book club with like-minded friends to read and discuss pertinent books that go a little deeper than the surface-level, feel good books most book clubs choose to read. Find a restaurant of one of the seven countries listed in the travel ban and eat there. Let them know you value them and their contribution to your community. Leave a note at a mosque. Leave another one if you've already done so. Let hardworking teachers know you appreciate the efforts and work they put in. Check on your friends who are also in the fight. If you want to support someone, but aren't sure how, let them know you want to help and ask them what they need to feel supported. This is week three in a series of resisting in the reign of the Trump. Past weeks can be found here.